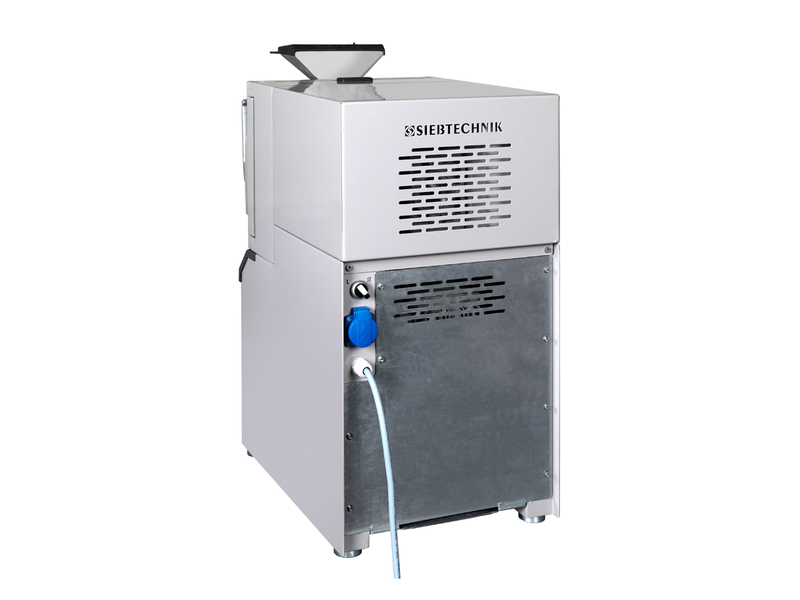 The disc mill can be used to finely grinding soft to hard materials with a Mohs hardness of up to 8. Grinding in the disc mill is done between two roughly toothed grinding discs. One grinding disc is stationary, the other is rotated by a geared motor, thus exerting a shearing action on the material to be broken up. 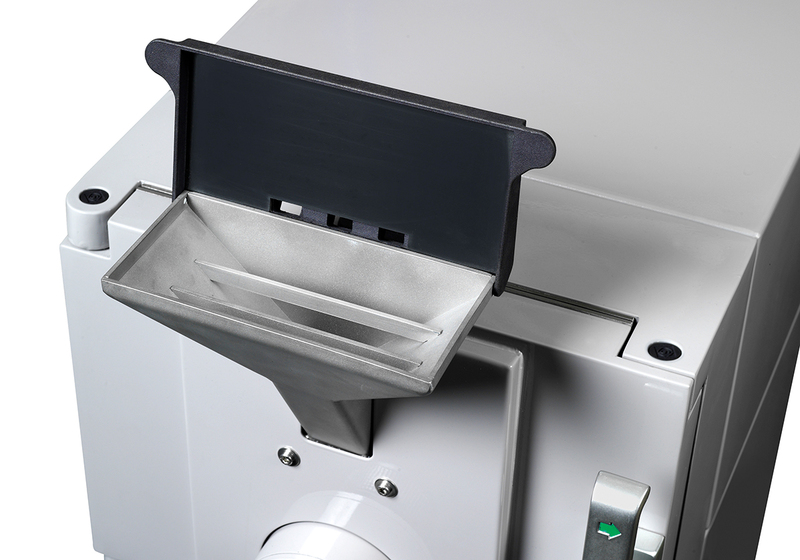 The gap between the two grinding discs determines the fineness of the material ground up. By means of an adjuster wheel with an integrated scale to alter the position of the stationary grinding disc the gap width between the two grinding discs can be repeatably set. 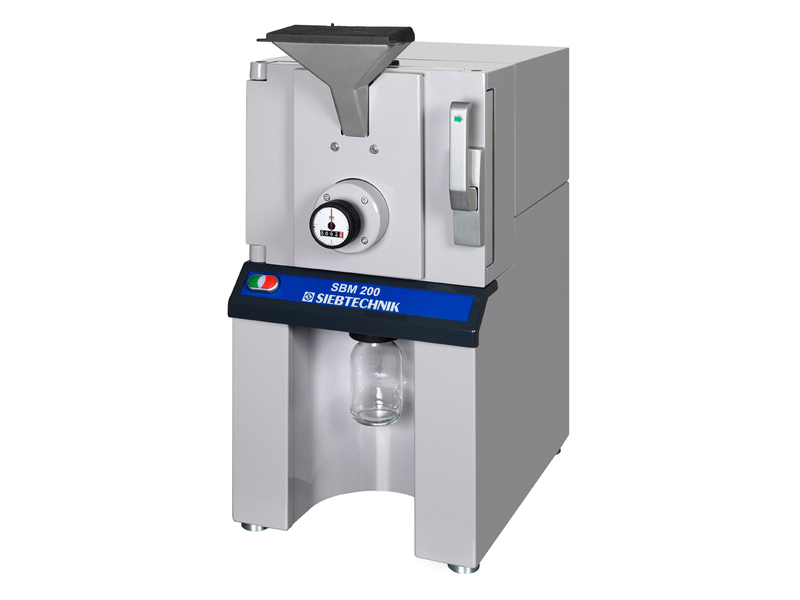 The ground-up material falls into a glass bottle placed underneath the grinding discs. 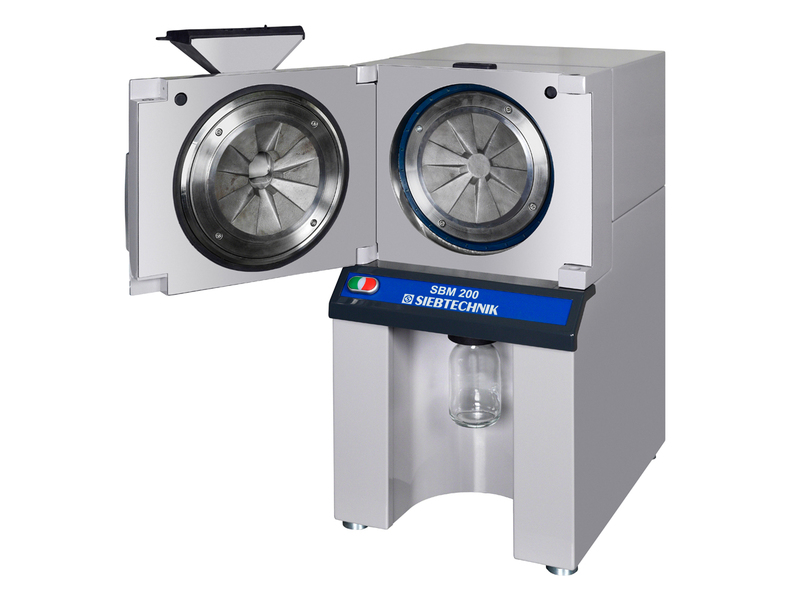 The SBM’s sound-insulating housing is designed to swing open to enable the grinding chamber to be opened for inspection/cleaning without having to use tools. 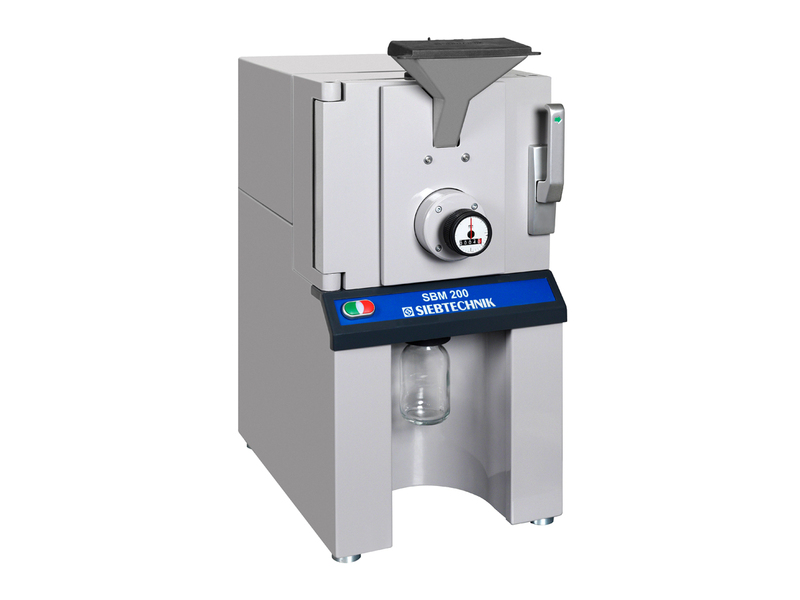 The door is monitored by a safety sensor and blocks access to the grinding disc while it is rotating. 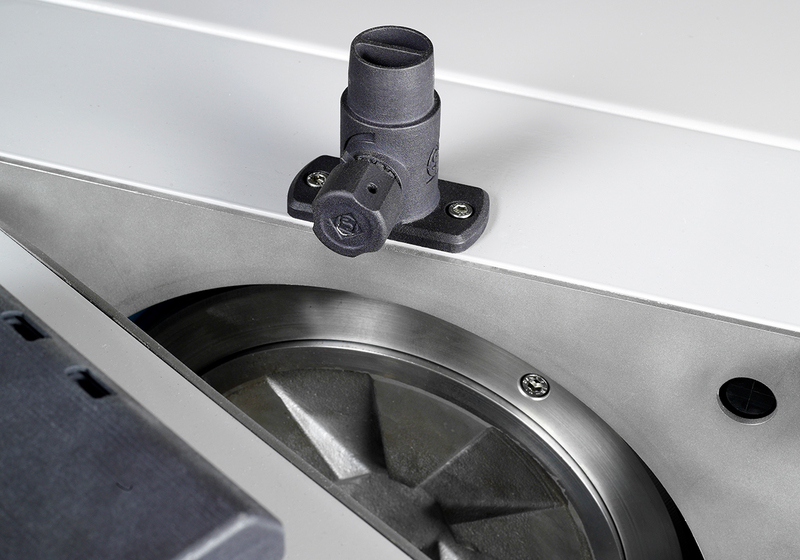 A connecting nozzle on the housing enables connection to an optionally available industrial vacuum cleaner operated via a plug socket fitted into the housing rear wall. 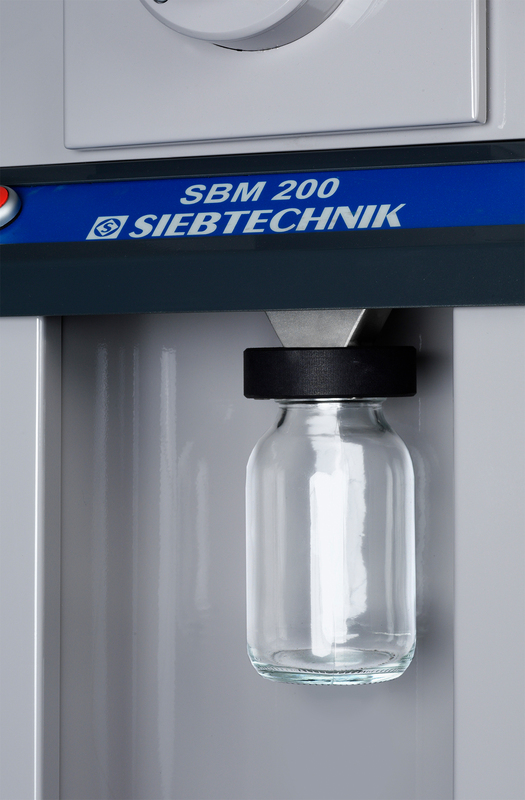 If larger sample quantities or continuous operation are required, the glass bottle can be replaced with an adapter with hose connection, which is obtainable as an accessory. The grinding discs are available in cast steel, zirconium oxide or tungsten carbide.